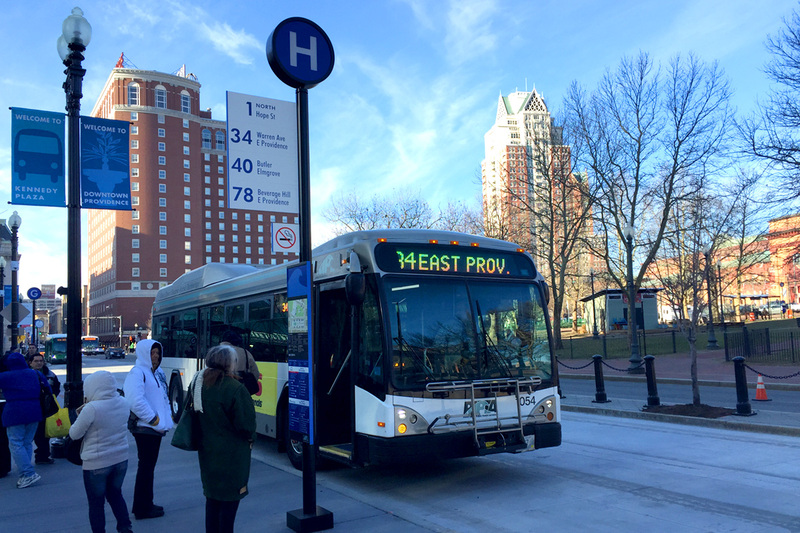 This post was submitted to Greater City Providence by the RIPTA Riders Alliance. Mostly it is about operational and promotional improvements rather than big infrastructure capital projects. 1. Lack of operating funds to implement key Strategic Plan goals including increased frequency, route improvements, real-time bus info. Work with stakeholders, the Governor’s office, and legislators to really establish a funding stream that grows with inflation and need. 2. Very inadequate snow removal from bus stops and shelters after storms. Convene stakeholder group including Governor’s Office, RIDOT, RIPTA, Lamar, municipalities, snowplow operators, police, DPWs, and advocacy groups to work out plans and responsibilities to address this issue. 3. Bus trips often slow. 4. A very significant 30% to 40% of greenhouse gas emissions in the northeast come from transportation, but this is slower to be addressed than energy and commercial sectors. Addressing climate change is a reason to enhance and promote transit and should be part of the discussion at the task forces that address climate change. Legislation that proposes assessments or taxes on greenhouse emissions should provide funding for public transit operations or infrastructure. 5. Poor attitude to bus passengers at some bus stops and hubs, lack of rider and public input when removing stops. When this is an issue, stakeholders should work with cities and towns, abutting property owners, and RIPTA to address problems. Bus passengers and bus stops should be seen as an opportunity rather than a problem. 6. Minimal bus presence in State House area despite many employees, visitors, an army of lobbyists, people attending rallies, and tough parking. Implement law on state employee commuting; build bus shelters on Capitol Hill; have bus/train schedules to area widely available in State House area; have Division of Taxation give transit as well as driving advice to their DOA office. 7. Kennedy Plaza conditions can be a deterrent to using transit. While improved in some ways, issues remain – need to extend terminal building open hours, especially in cold, dark winter season; re-establish and market more through-routes (as 17-57, 28-50, 3-33, 21-56 used to be) especially to connect south/west sides with 1-seat ride to key destinations such as State House, RR station, Prov Place Mall, without needing KP transfers; address drainage issues after rain; work to enhance perception of security. 8. Lack of knowledge of transit schedules and services. Distribute schedules, including MBTA, more widely at appropriate city halls, libraries, tourist offices, hotels; on license renewals, DMV mailings could include appropriate bus schedules by zip-code; give transit directions as well as driving instructions at appropriate venues; have templates for distributing transit information available for key locations (e.g. 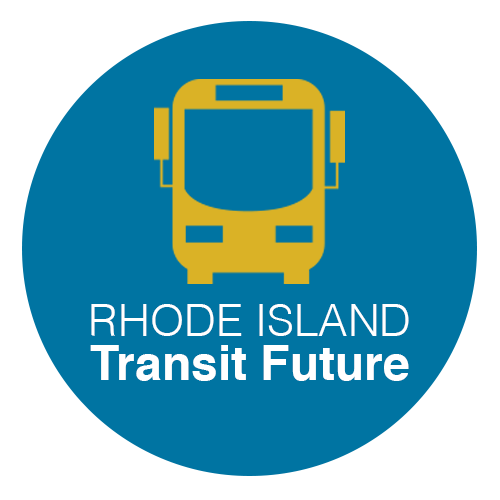 State House, TF Green, Roger Williams Park, shopping centers…) to facilitate giving out transit info without reinvention each time. 9. URI-Providence subsidizes free parking for all, no transit incentive, despite high cost of providing parking, city congestion, and good transit access from all directions. Persuade or require URI and public colleges to fully join U-Pass. 10. Bus system is seen as just for poor and elderly. Enhance marketing of Ecopass for commuters with pitches from commuters, celebrities; seek ATU help in marketing Ecopass; consider “Trip Reduction Law” for large companies that provide free parking, or those getting tax breaks; give transit directions to events as well as driving/parking info. 11. Metro area basic fares well above average for short trips. Restore low-cost “short-zone” even if long distance express fares go up. 12. MBTA/RIPTA have different fare systems. Experiment with joint promotions, e.g. RIPTA honors MBTA monthly passes at RR station pickups, MBTA honors RIPTA monthly pass for intrastate rail travel; plan unified smart card in future fare plans; consider free bus shuttles that meet trains at PVD and Wickford Jct stations that connect to downtown and Wickford respectively (as is done in New Haven); work with all stakeholders on bus hub at Providence Station based on voter approved Question 6. 13. Transit cannot compete effectively with “free” parking. Phase down public subsidies to parking and parking garages, tax parking lots for runoff; enforce “parking cashout” law, encourage employers who offer free parking to also offer transit incentives. 14. Decisions about transit are often made without much public or rider input. Consider creating a Rider Advisory Committee (similar to ATAC for paratransit); post changes being considered that affect riders at the Kennedy Plaza terminal and other hubs as well as on web-sites; add the RIPTA Riders Alliance to the Transportation Advisory Committee. I think a key takeaway from this that to really make transit work, we need a more robust operating budget for RIPTA, and the commuter rail too. Generally we like to think of big capital projects where the Federal government pays 50 to 80%, but operating budgets are what really limits what can be done. Not sure where else to put this, but on RIPTA’s website, there is a new Accountability and Transparency page that lists interesting documents including their quarterly financial reports that provide ridership and budget info. Might be worth a look for some insight into their operational and strategic positions.